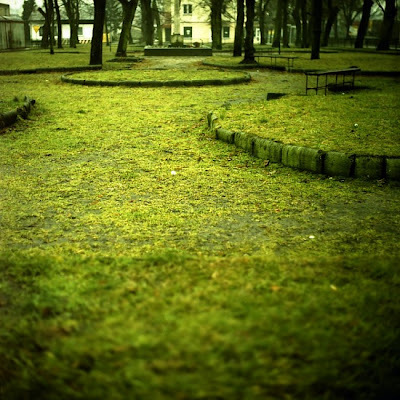 While watching one of the books published by Museum in Gliwice I came across photographs that I'd been fascinated with at one of the Museum's exhibitions - "Silesia in Old Photographs". Exhibition (organized in a cooperation with Silesian Museum in Gorlitz) took place in 2007 and was really representative for old silesian photography - containing portraits (these studio ones, as well as outdoor portraits), industrial views, historical moments in a region, some everyday life situations, etc. 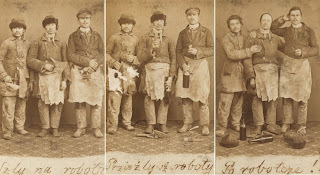 Tree photographs taken by Wilhelm von Blandowski - one of the most famous photographers in the end of XIX century in Gliwice, are showing three bricklayers in a very contemporary way! - that's the thing that somehow shocked me. 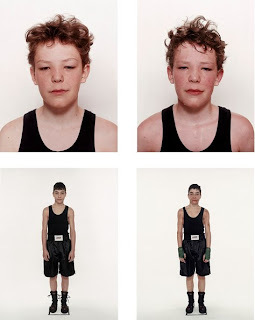 Nicolai Howalt's photographs of young boxers, taken moments before and moments after their matches. Marcin, I'm posting on ur birthday! "The dismal half-baked images of the average "reportage" and "documentary" photography are self damning... the slick manner, the slightly obscure significance, the esoteric fear of simple beauty for its own sake – I am deeply concerned with these manifestations of decay. Gene Smith's work validates my most vigorous convictions that if the documentary photographs is to be truly effective it must contain elements of art, intensity, fine craft and spirituality. All these his work contains and we may turn to his work with gratitude, appreciation and great respect."